Everybody love getting deliveries, especially when they’re a fun surprise! While you may be lucky enough to spend Thanksgiving with your friends and family, it’s not always possible for people to get together for this holiday, when Christmas is just around the corner. This is especially true for family for friends and family members in other states. If you don’t get to see your best friend or parents this Thanksgiving, send them a gorgeous Thanksgiving centerpiece. This is a great idea for college kids who may not have been able to afford to get home for Thanksgiving this year too. Have one of these bouquets delivered right to his or her dorm, along with a heartfelt card that lets your child know how much you’re looking forward to seeing them over Winter Break. 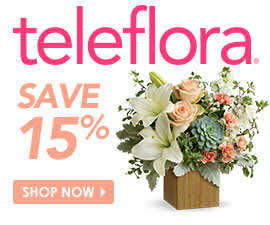 If you are spending Thanksgiving with your significant other, that doesn’t mean you can’t send him or her a flowers too. Try surprising your spouse with a bouquet at his or her office before the day before Thanksgiving. Not only will it be a pleasant surprise, but that same delivery might even end up at home on the table for Thanksgiving dinner! In the age of technology, you probably don’t even remember the last time you wrote or received a letter or handwritten card. While you can express the same sentiments in a text message or email, there is no denying that it doesn’t have the same effect as a heartfelt note. Invest in a nice set of stationery or note cards, and let everyone you love know how much you appreciate them this year. Sure, you may give your parents, best friends or siblings a phone call a few times a month, they’ll be so surprised and touched to see your thoughts written out and delivered right to their mailboxes. If you and your significant other are taking a trip for Thanksgiving instead of having a traditional celebration, this is a great time to opt for a fun post card instead! While you may appreciate your husband washing the dishes or your girlfriend picking up your favorite snack from the store, you may have fallen into a pattern that lets you assume the other is appreciated. There is nothing wrong with this – it’s inevitable in a long-term relationship. But that doesn’t mean you shouldn’t make the extra effort to express that gratitude once in awhile. Do this by making him or her a lunch for work tomorrow, or stopping by bakery to pick up his or her favorite dessert on the way home from work. This same goes for your best friend. If he or she regularly brightens up your day, let him or her know. Next time you go to happy hour together, pick up the tab, or offer to babysit so he or she can go on a date night with his or her spouse. These random acts of kindness don’t take a whole lot of money or effort, but they’re great ways to let the people in your life know how much you care. These are only a few ways that you can show gratitude to those meaningful in your life. Share with us some of your favorite ways to show people you care this season!